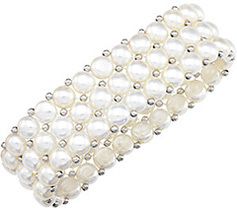 If you love the look of pearls when it comes to jewelry, this 8-8.5mm freshwater cultured pearl stretch bracelet from Apples of Gold Jewelry is sure to become a favorite jewelry piece in your collection! Adding just the perfect feminine touch, this pearl bracelet measures 7.5" in length and is slightly stretchy, allowing for the perfect fit on your wrist. 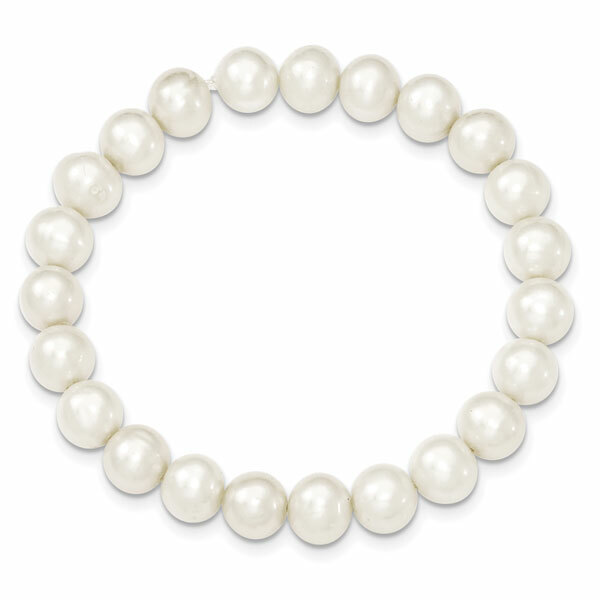 The milky white freshwater pearls measure between 8 and 8.5mm in size, and cover the entirety of the bracelet. This beautiful look is perfect for special occasions or can even be casual enough for every day wear. We guarantee our 8-8.5mm Freshwater Cultured Pearl Stretch Bracelet to be high quality, authentic jewelry, as described above.